I Changed my life through Tantra! You can also write to us on shakti.multiversity@gmail.com for registrations or further queries. Ma Shakti Devpriya ji is an accomplished Tantrika in the krama system of SriVidya lineage. She is one of the most experienced teachers of Tantric subjects such as Sacred Symbology, Tattva Shakti, Marma Vigyaan, Art and science of Mandalas and Yantras etc. Aout Swara Vigyaan or Swar Yog she says "Simply put it is magic. Unbelievable but still practical and a knowledge that is applicable in modern times". "But one should always keep it in mind that it is a science that may require a few lifetimes to perfect" She adds. Recently Divine Path Yoga in association with Sacred Association organized a Panch-Mahabhuta Shakti Kriya LIVE programme for the benefit of seekers, learners, tantra enthusiasts and Tattva Shakti Vigyaan practitioners in New Jersey, USA. The workshop concluded on 7th of November 2017. The participants thoroughly enjoyed learning under the guidance of Gurumandala represented by our beloved master Acharya Shri Agyaatadarshan Anand Nath ji. Every participant was endowed with the blissful state of Kriya that ensued much after the practice session. Here’s a group photograph taken on just after the concluding session of this programme. The Divine Path Yoga founders and representative of Gurumandala in USA, Ms. Shuchi & Alpana coordinated and assisted in organizing and delivery of this whole programme. May the blessings of our Gurumandala and grace of Ma Shakti be upon every participant of Panch-Mahabhuta Shakti Kriya and its organizers. 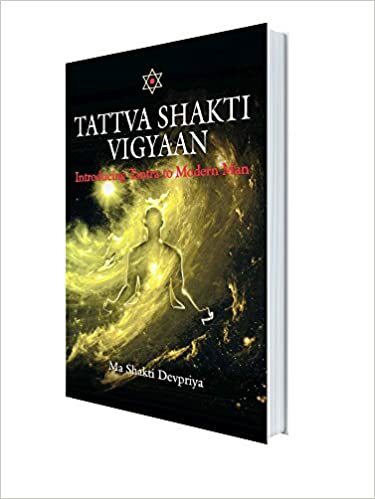 Tattva Shakti Vigyaan- Tantra for Modern Man Click To Buy! On this Shivaratri (2018) spiritual seekers and ever enthusiastic Tattva Shakti Vigyaan practitioners in New Jersey, USA celebrated the divine festival under the guidance of Masters. This video captures the beautiful chorus of Nirvana Shatakam sung by the practitioners. Please ignore the AV quality for letting the energies in to elevate the consciousness. Note – If you live in USA wish to join or participate in such programmes please write to us on shakti.multiversity@gmail.com we shall guide you. Every person is a unique bundle of energies!